How Positive Are PCA Skin Collagen Hydrator Reviews? Before checking upon any positive and negative reviews of PCA Skin Collagen Hydrator facial cream, let´s see what this product claims to do and what types of skin it is best for. 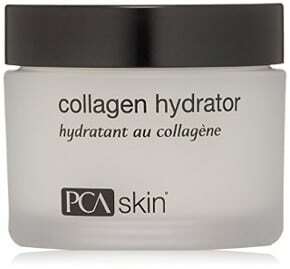 PCA Collagen Hydrator is a rich moisturizer with a luxurious texture that is especially designed for dry, flaky and mature skin. According to the company´s claims, it works to hydrate, sooth, firm and strengthen mature or dry skin without any greasy feeling. 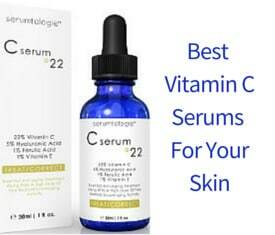 It also smoothens the complexion providing the skin with important nutrients and beneficial antioxidants. The skin enjoys a real moisture boost and feels soft and protected. A rich effective moisturizing cream is always needed in cases of dry skin especially when the weather conditions are extreme, but also in cases of mature skin, a good moisturizer offers the skin what it really lacks. PCA skin collagen hydrator facial cream, which is free of bad alcohols for skin, contains some really moisturizing and softening ingredients such as Shea Butter, which is one of my favourites for loss of moisture, as well as vitamin E, which is perfect for dry skin, sweet almond oil and Sodium Hyaluronate, which has the same benefits as hyaluronic acid. I forgot to mention Castor Oil which although has a thick texture, it is excellent for boosting moisture not just temporarily. And of course olive oil is another strong antioxidant natural ingredient that many people love using even in DIY skin care recipes. Now you might think how all these ingredients that some of them are not so light can be combined in a product and most importantly, does this product absorb well? Let´s see what the reviews say! According to users, this a very rich moisturizer that it does do the job to the fullest and even helps with dry patches of skin. Chapped skin heals fast and overall this product is really good for people with dry skin and surely not people who have acne prone skin. Some people use this collagen boosting cream when they need an instant moist solution to deal with chapped or parched skin but it has also worked well for people who suffer from rosacea since it offers an instant calming effect and is free of harmful ingredients such as parabens, SLS and others. It is also free of bad forms of alcohol which are bad for any type of skin but especially dry and sensitive skin. It contains Benzyl Alcohol which is considered to be a safe skin care ingredient. 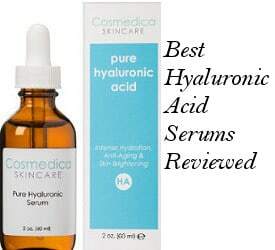 People like the fact that it works well as a protective barrier for their skin and notice that it plumps their complexion and improves its look. Although its texture is not light, this moisture cream goes on smooth and leaves no oily residue behind. Due to its consistency, a little goes a long way. Some users are very enthusiastic with its effectiveness, saying it is the most moisturizing and soothing product they have ever used. It is also good for burns and it has some male fans as well. There are no actual negative reviews regarding the product´s claims or lack of effectiveness. Some people that have not probably noticed that this collagen cream is recommended for dry and mature types of skin have used it and found it too heavy for their needs. Therefore, few of them have gotten whiteheads on the skin but for that it is neither the company nor the product to be blamed. Some people that have found that this cream is too rich for their skin, do still keep it and use it on areas of their skin where extra moisture is needed or in cases of dryness. Curious about the full list of Ingredients? Distilled Water, Glyceryl Stearate, PEG-2 Castor Oil, Shea Butter, PEG 100, Stearate, Cetyl Alcohol, Cetearyl Alcohol, Hydrolyzed Wheat Protein, Selenium, Aloe Barbadensis Leaf Extract, Sodium Hyaluronate, Olive Fruit Oil, Tocopherol (Vitamin E), Sweet Almond Oil, Ascorbic Acid (Vitamin C), Allantoin, Xanthan Gum, Benzyl Alcohol. PCA Skin Collagen Hydrator contains some good natural and effective antioxidant ingredients to fight dryness and help improve the look of aging skin such as vitamin E, vitamin C, Shea Butter, Sodium Hyaluronate, aloe vera leaf extract and others. 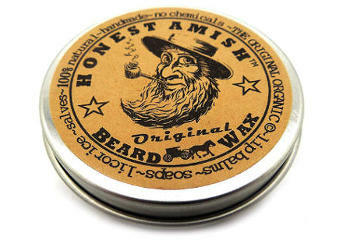 It is also free of harmful chemicals and therefore it may not irritate sensitive skin. You just need to be sure you don’t have an allergy to wheat since it contains a wheat protein.